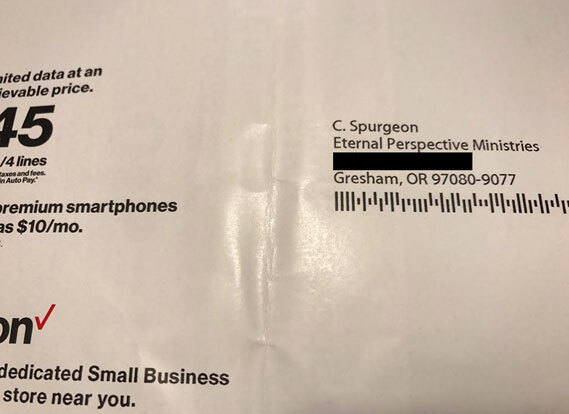 Actually, Charles Spurgeon stopped working for our ministry years ago. And he never got used to his cell phone. Don’t know how to break it to Verizon! On to today’s blog: this Sunday is Father’s Day. Fatherhood is a huge job, and dads need encouragement that their role in the kids’ lives matters. I recently watched this video highlighting the importance of dads, and absolutely love it. As I tried to portray in my novel Courageous, fathers, you are irreplaceable in the lives of your children. So take some time this weekend to enjoy time with them, to talk with them about their fears, hopes, questions, and daily lives. You provide something for them that no electronic device can ever substitute! A spiritually strong family is built on a foundation of "relational concrete." Tell your children your values, expectations, goals, and dreams for them, your family, and yourself. Ask them about their worries and their own dreams and goals. It's not words by themselves that communicate love—it's talking with your children in a way that shows deep interest and a strong desire to be involved in their lives. …This loving conversation begins while your baby is still in the womb. It grows and matures throughout a child's development; when your child reaches adulthood you can communicate like friendly peers. Talking may be a challenge during the teenage years, but it's more important at this time than ever. Many teenagers—boys especially—just do not seem to want to talk. But don't give up. You must pursue them—a persistent, gentle priming of the conversation well. Be prepared for that moment when the mood shifts and the words literally gush out of your teenager's mouth. Give your teen your full attention; listen well before you respond. …Our model in being available and giving ourselves to our children is a good one. Jesus said, "Behold, I stand at the door and knock; if anyone hears My voice and opens the door, I will come in to him, and will dine with him, and he with Me" (Revelation 3:20). That picture of a loving God knocking and waiting, eager to enter a life, is how our children should perceive us. What Encouragement Do You Have for Fathers? It’s a huge job, and fathers need encouragement. One of the things I think about is what Scripture says in 1 Thessalonians 2:12.